Members of Parliament will next week vote on alternatives to Theresa May’s battered deal. LONDON – Over five million people have signed an online petition calling on the UK government to cancel Brexit. The petition, which urges Theresa May’s government to keep the United Kingdom in the European Union by revoking Article 50, was approaching 5.1 million signatures at the time of writing on Sunday afternoon. 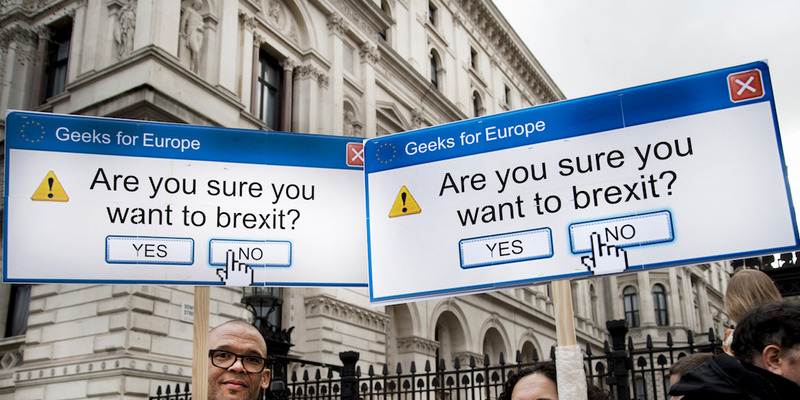 The petition – which is backed by leading politicians like London mayor Sadiq Khan, Scottish leader Nicola Sturgeon, and a number of Members of Parliament – continues to attract support after hundreds of thousands of anti-Brexit protesters marched through central London on Saturday. EU leaders agreed last week that the UK will leave on May 22 if MPs vote for May’s deal next week. However, if as expected MPs do not support the prime minister’s deal, which has already been voted down twice, then they will have two weeks to come up with a plan B before a new Brexit date of April 12. MPs are set to vote on a number of alternatives to May’s unpopular agreement with the EU, including a softer Brexit and a new referendum. “The government repeatedly claims exiting the EU is ‘the will of the people’. “We need to put a stop to this claim by proving the strength of public support now, for remaining in the EU,” the petition says. The UK Parliament’s website crashed earlier this week due to the volume of people signing it.